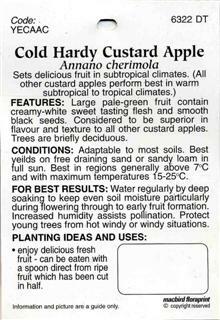 Small to medium tree around 6-8m tall bearing delicious fruit. 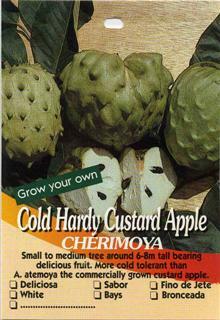 More cold tolerant then A. atemoya the commercially grown custard apple. 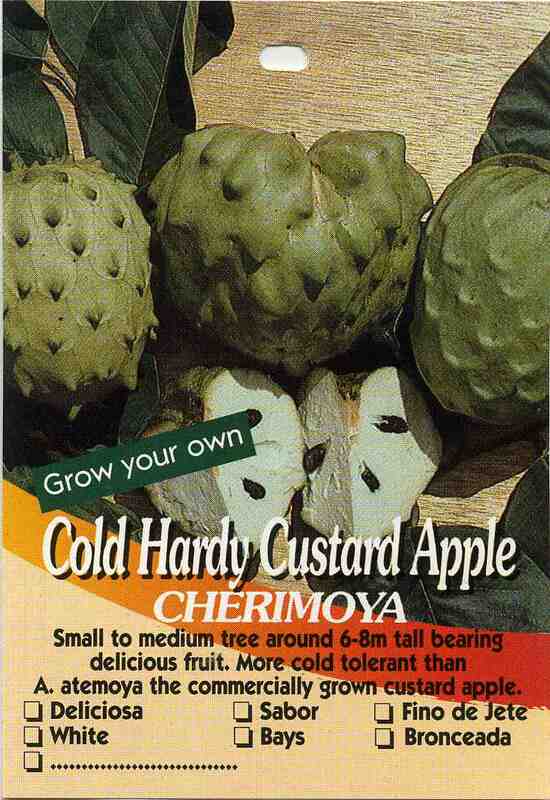 FEATURES: Large pale-green fruit contain creamy-white sweet tasting flesh and smooth bl.ack seeds, Considered to be superior in flavour and texture to all other custard apples. Trees are briefly deciduous. CONDITIONS: Adaptable to most soils, Best yeilds on free draining sand or sandy loam in full sun. 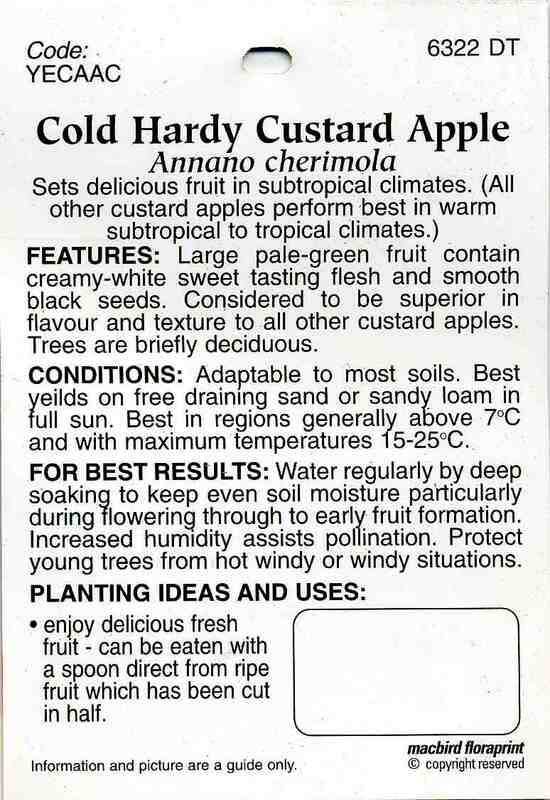 Best in regions generally above 7°C and with maximum temperatures f5-25°C ..
FOR BEST RESULTS: Water regularly by deep soaking to keep even soil moisture particularly during flowering through to early fruit formation, Increased humidity assists pollination. Protect young trees from hot windy or windy situations. • enjoy delicious fresh CJ fruit - can be eaten with a spoon direct from ripe fruit which has been cut in half.